Welcome back for the 2017 season! We hope you have a great season with us! 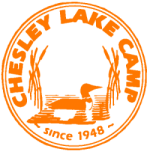 Chesley Lake Camp strives to provide an affordable environment for relaxation and Christian Fellowship for a community of all ages living in harmony with one another and nature.